Annatto is a natural food coloring and condiment that is extracted from the seeds of the achiote fruit. The achiote tree (Bixa Orellana) is a tropical shrub or small tree that grows in Central and South America. The flowers of this tropical tree are white or bright pink, but the fruit is actually the most desirable part of the plant, made up of spiky brown and red pods that grow in clusters. When those pods dry and crack open, they expose seeds of a red color, from which red pigment can be extracted. This is why the achiote tree is often called the lipstick tree. It is also called chitoe, onoto, bija, colorau, urucum, or atsuete in different regions. Annatto’s strong pigmentation makes it a natural dye which can range from yellow to deep orange to red, and it has plenty of applications in cosmetics. It is also used as a condiment in certain parts of the world. It has a floral and nutty smell and is mildly peppery to taste. In the Caribbean and Central American cultures, annatto has been used for thousands of years to cure everything from mild to potentially life-threatening diseases, making it an ancient “superfood”. I first received this in clay form 10 years ago when I was at my brother's wedding in Isla Mujeres Mexico. Annatto has a rich source of antioxidants such as cis-bixin, carotenoids, and vitamin A. It also contains minerals like calcium, sodium, and iron. It has relatively high content of dietary fiber. The high concentration of tocotrienols, which are similar in effects and structure as vitamin E, makes this plant substance powerful. Annatto, due to its powerful antioxidants, possesses antimicrobial properties and it can kill various pathogens, and bacteria in the body. It is also very effective against various foodborne diseases. The high level of fiber found in annatto seeds, as well as the edible leaves of the achiote plant, is good for digestion. It promotes the smooth passage of food through the bowels and the efficient uptake of nutrients. Fiber also helps lower cholesterol and manage diabetes as it can help optimize the insulin and glucose levels in the blood. It has also been turned to as a diabetic management herb for generations. A significant level of calcium found in annatto makes it important for you if you want to supplement your bone mineral density and ensure strength and durability as you age. It also helps prevent osteoporosis. There is an impressive amount of folate (folic acid) found in annatto, and while there are many important benefits of this vitamin, preventing neural tube defects in newborn children might be the most important. Pregnantwomen are encouraged to boost their folic acid levels to prevent these types of conditions. The high carotenoid content, present in annatto, functions as antioxidants in your ocular system and prevent the development of cataracts, while also staving off macular degeneration, keeping your vision strong for years. Tocotrienols, present in annatto, act as antioxidants, which is one of the reasons that it is so sought after for treatment of the skin. If you’ve been looking for an anti-aging solution for your skin, annatto paste made from the seeds can be topically applied to reduce the signs of wrinkles, blemishes, and other imperfections, while also tightening up the skin and making it look younger. If you have suffered from burns or wounds on the skin, or are suffering from skin irritation of any kind, annatto seed paste can be applied to speed the healing process. It also reduces the appearance of scars. Also, its natural antimicrobial naturecan help prevent infections. 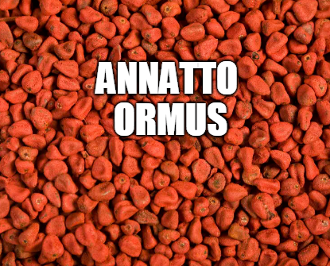 Annatto is often consumed to calm an upset stomach. It also functions like a stomachic, treating heartburn and discomfort, which may be associated with everything from viral infections to simply eating too much spicy food. Annatto seeds have expectorant properties. 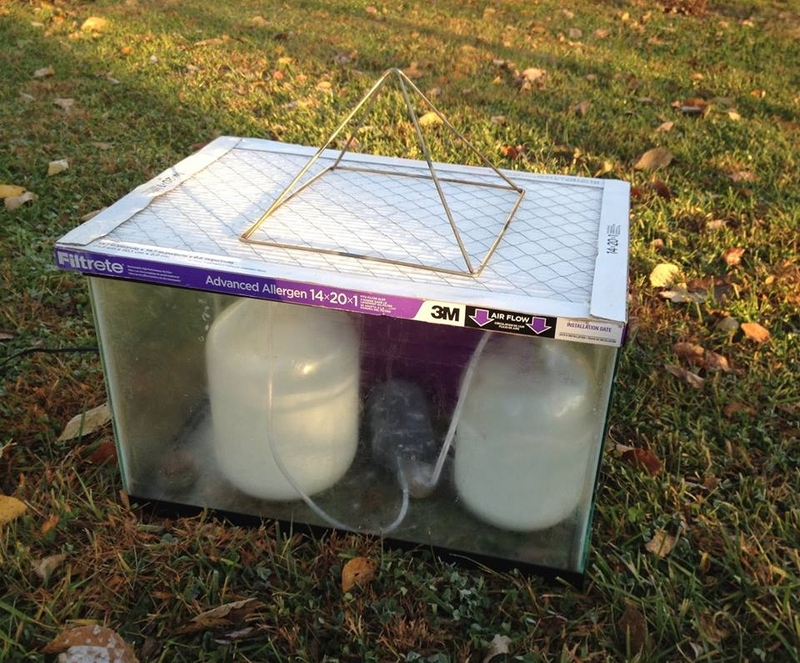 Therefore, they are used to cure mucus-related disorders like coughs, asthma, and bronchitis. It also clears the mucus from the lungs. Annatto leaves, due to their diuretic properties, provide better functioning of kidneys.Consuming the dried leaf powder daily protects you from various irreversible kidney damages, as well as malariaand fever. Annatto seeds help balance, detoxify, metabolize, and strengthen the liver. It also helps to reduce liver inflammation. Scientists have shown the role of bixin in destroying the harmful free radicals in the liver. Annatto has been proven over the centuries to be an effective herbal treatment for gonorrhea. For those suffering from the painful and embarrassing condition, using its paste either internally or topically can be very effective for clearing up that particular STD. 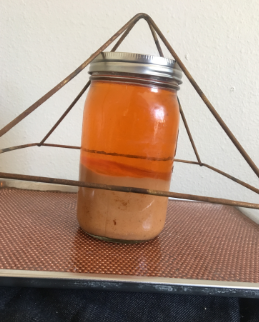 In order to make this Ormus I added Annatto powder to warm harmonically structured water and mixed it all up. Then I added Dead Sea Salt and Natron (or Milk of Magnesia) to make this via the Egyptian Wet Method, no lye.